The RSPCA is investigating after a dying pregnant horse was dumped by the side of the road in Orsett, Essex on Monday 20th February. 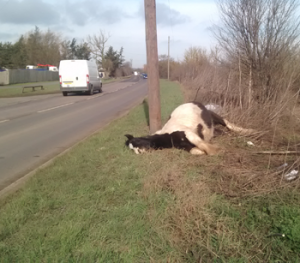 RSPCA inspector Rebecca Benson said: “The heartbreaking sight of this mare was reported to us by concerned passers-by. “All the evidence points to her being still alive when she was dumped, and in the process of giving birth, but although I got there as soon as I could after we were called – she was already dead. “We think she was probably abandoned in this sensitive state overnight the night before, perhaps to avoid getting expensive veterinary treatment. The poor mare would have been alone, in pain, and frightened by the traffic passing on the road, so close to her face. British Showjumping are delighted to announce that Addington Manor in Buckinghamshire have been awarded the 2017 Championship Finals. All members who have qualified for their respective Championship Final prior to the start of the show will gain entry to their Final. There will also be an opportunity for members to qualify for each Championship Final via direct qualifiers which will be hosted across the preceding days of competition. 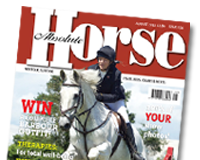 Tim Price, Show Organiser at Addington Manor commented “I am extremely pleased that we have been awarded the Finals and for us to be in the position of building an exciting new Spring Championship show in which to incorporate them. The schedule and timetable will be available shortly and we look forward to welcoming all competitors to the show in April”. Iain Graham, Chief Executive for British Showjumping further commented “We are delighted to be awarding Tim Price and Addington Manor the six winter championships on offer and are particularly enthused at the plans he has for the Spring Championships”. British Showjumping are pleased to reveal their new logo which will start appearing across all online channels and printed matter with immediate effect. The progressive new-look logo has been designed to provide the sport with a fresh, modern look that sits in line with the many other Olympic and National Sports whilst also retaining a strong feeling of patriotism. The logo has also been created so that it can be worked in varying formats which will allow it to sit correctly across the numerous mediums that it needs to. Iain Graham, Chief Executive for British Showjumping commented “ We wanted to bring our logo up-to-date and for it to sit comfortably alongside the many other sporting bodies that form Great Britain’s sporting landscape. The new logo certainly achieves this and we are delighted with the positive feedback that it has received from those that have seen it in the lead up to now”.